RYANAIR HAS BEEN ordered to pay €8.3 million in damages and fines for breaching French labour law. Today a French appeals court ruled that the Irish budget airline must pay €8.1 million in damages, along with €200,000 in fines. The court found the company guilty of paying workers under Irish contracts to save money on payroll and other taxes. Ryanair has said that it will be appealing the decision because it is “contrary to EU law on mobile transport workers and follows similar cases against other airlines”. In a statement released shortly after the ruling, the airline said it will “appeal any attempt by the French authorities to seek double payment of social insurance payments which have already been fully paid in Ireland in respect of work which takes place entirely on Irish aircraft and therefore on Irish territory”. The company’s Head of Communications Robin Kiely said the airline would appeal today’s ruling “on the basis that European employment law clearly allows mobile workers on Irish registered aircraft to pay their taxes and social taxes in Ireland”. We will also be seeking a referral to the European Court of Justice to prevent these attempts by the French authorities to claim social taxes that have already been paid in full to Ireland. 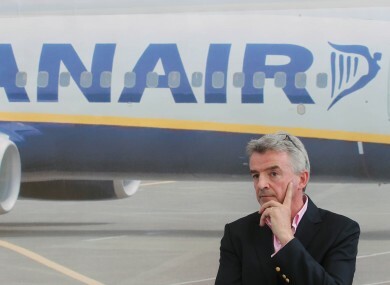 In October 2013, Ryanair was ordered to pay nearly €9 million euros in damages and interest. The airline was charged with avoiding paying payroll and other taxes, as well as preventing workplace councils from functioning and hampering employees’ access to unions. Ryanair appealed the initial ruling in June 2014. Social charges in France are at around 40-45%, compared to 10.75% in Ireland. The airline will have to pay damages to trade unions, France’s social security system and pilots, among others. The case is focused on a facility in Marignane, near Marseille in the south of France. The company based four planes and 127 employees at the site without applying French labour law or filling out tax declarations in the country. Ryanair argued that it did not have a permanent base in the area and that it was entitled to keep its workforce on Irish contracts, but prosecutors said its claim was not credible because the workers were living locally, and the airline had offices there. Email “Ryanair ordered to pay a LOT of money for breaching French Labour law ”. Feedback on “Ryanair ordered to pay a LOT of money for breaching French Labour law ”.